What a beauty in Green Mountain Village! 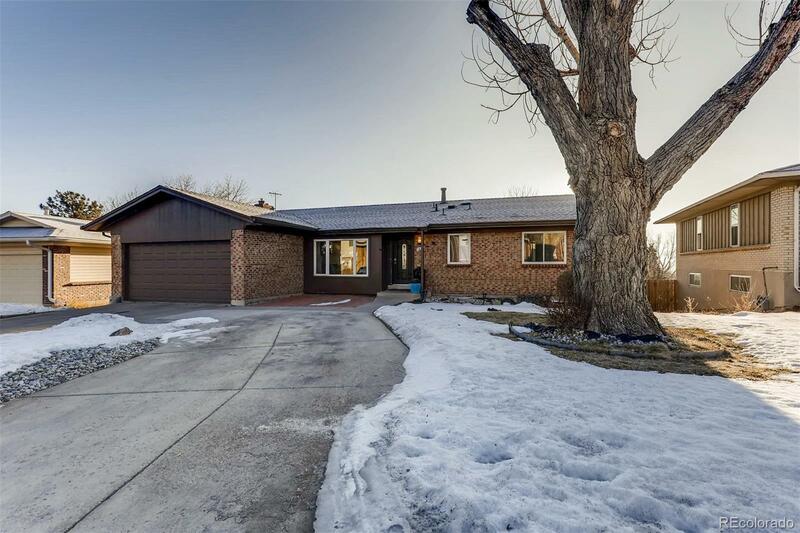 This wonderfully remodeled ranch home comes with many great surprises. As you walk through the front door, youâll be greeted with shiny new wood floors. The remodel has given an open feel to the main floor. No expense was spared to equip the kitchen with a quartz island, soft close drawers and top of the line appliances. Enjoy surround sound while you cook in the kitchen and eat in the dining area. Step out on the balcony with a bottle of wine from your wine cooler and enjoy a retreat, even on hot days, with a retractable awning. Views from the deck will cause you and friends to enjoy many serene sunsets. This 6-bedroom 3-bathroom home is equipped with two fireplaces. The downstairs entertainment room has a walkout basement that leads to a pergola and bbq station. Live green and save with leased solar panels. New central AC and furnace. New basement windows. All offers due by Monday, February 11 at 6:00 PM.